The amount of hummingbirds the have in our backyard is crazy. I’m glad they are coming to our feeder but there is one male the is very territorial. 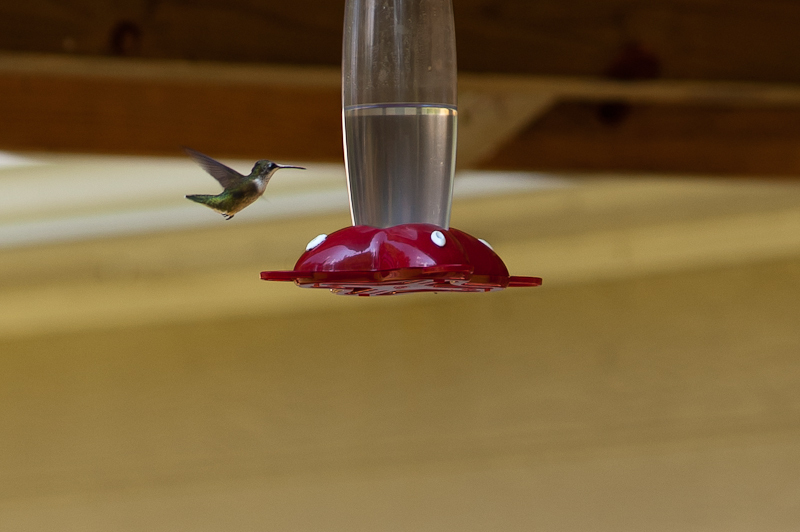 Which makes it a little hard to get a photograph of then when he keeps dive bombing the feeder and scaring away the other hummingbirds. Below is a female just before the crazy male ran her off.